Previously, the museums were available only for corporate and nonprofit galas, but the Smithsonian Institution officially changed its events policy March 1. The dream of hosting your next event at the Smithsonian just might become a reality. 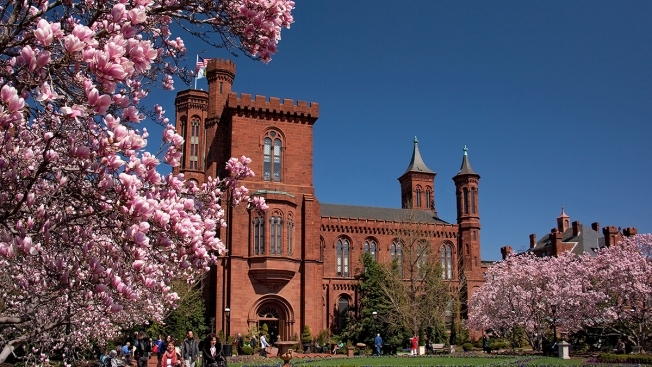 More than a dozen Smithsonian museums and the National Zoo are now opening up their private meeting spaces and even entire venues — including the majestic Smithsonian Castle — to the public for social events. Previously, they were available only for corporate and nonprofit galas, but the Smithsonian Institution officially changed its events policy March 1. Karen Keller, director of special events and protocol for the Smithsonian, said there is definitely an appetite in the D.C. area for the use of unique event spaces like the ones offered by the Smithsonian. "People have wanted this for a very long time," Keller said. "We're excited to be opening these museums up to social events so people can have special moments." Keller said the D.C. area is just now catching up with museums in the rest of the country that already open up their spaces and conference rooms for weddings, receptions and private parties. Under the new policy, participating Smithsonian museums offer rental spaces for social functions that fall into one of five categories: adult social events, youth events, private business meetings in a non-public space, corporate events and nonprofit fundraisers, although not every museum will host every category of event For instance, the Castle does not host youth events. You can visit each museum's page to learn more about the different options available for rent. Renting space at one of the Smithsonians can range anywhere from $1,000 for a private room to $150,000 for the entire museum. Keller says renting out the entire Air & Space Museum would cost close to $60,000 for an evening.